The relationship between Chronopassion and Hublot is built on mutual trust, spontaneity – and firm convictions about the projects with the greatest potential. As Lauren Adams would say, “there’s no point discussing what’s already been agreed.” It’s the perfect adage when it comes to the personalities of former Hublot CEO Hublot Jean-Claude Biver and Laurent Picciotto, the founder of Chronopassion. Rather than simply being the story of a brand and its products, Hublot and Chronopassion is above all a story with a strongly personal touch. When Carlo Crocco created the Hublot watch with a gold case and a rubber strap in 1980, it was the first time in the history of watchmaking that a precious material, gold, had been used alongside rubber. In the mid-1990s, rubber became prized by many leading watchmaking brands, demonstrating that Hublot’s decision had been the right one. For the brand, rubber was anything but a fad – rather, it embodied its philosophy and became its hallmark. Having headed up Hublot for fifteen years, Carlo Crocco became increasingly busy with work for his MDM Foundation, so he set out to find the right person to take the helm of the watchmaking firm. That was when he met Jean-Claude Biver, who had just left Blancpain. Biver put Hublot back on the road to recovery, becoming head of the company from May 2004 through to 2012. The takeover of BNB Concept proved to be a key turning-point for the brand. 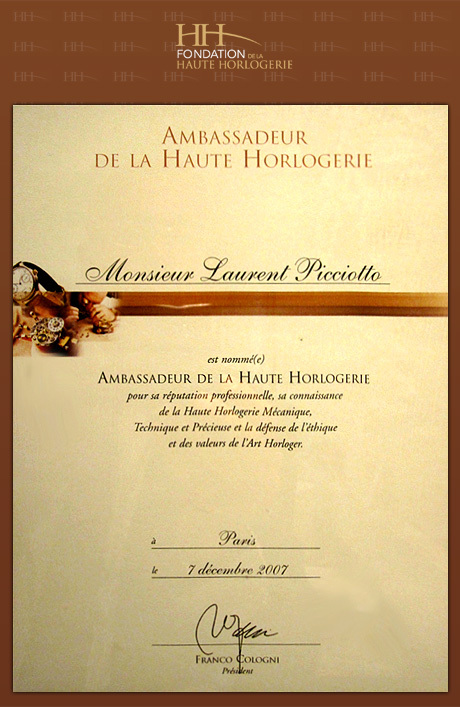 The company had been subcontracting for Hublot since 2004, dealing with complication watches, particularly tourbillons. At a time when BNB was struggling financially, Hublot offered to buy out the firm. The brand thereby became a “manufacture”, enabling it to supply haute horlogerie models, notably a large number of tourbillons and Minute Repeaters, as well as more atypical pieces such as the Key of Time. 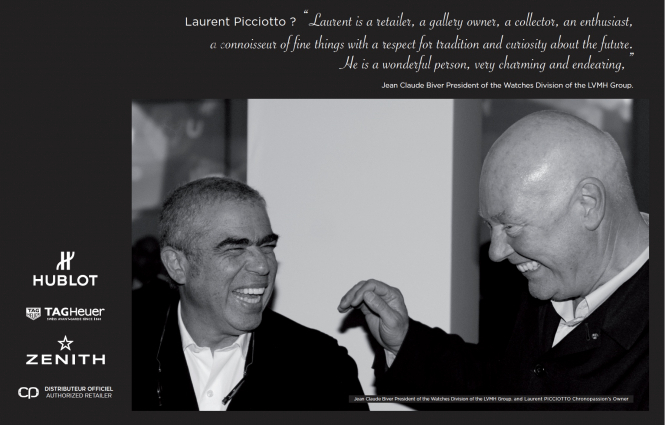 Together, Laurent Picciotto and Jean-Claude Biver forged a partnership rather than a commercial relationship. The two men created a number of custom series and set about laying the foundations of what was to become Hublotista, the community of Hublot owners. At the end of the day, they are still motivated by passion – and guided above all by instinct.